Welcome back for day 2 of the Sems L&K swimsuit sew-a-long with Sansahash patterns!! If you haven't read day 1, go back and visit our first steps HERE. 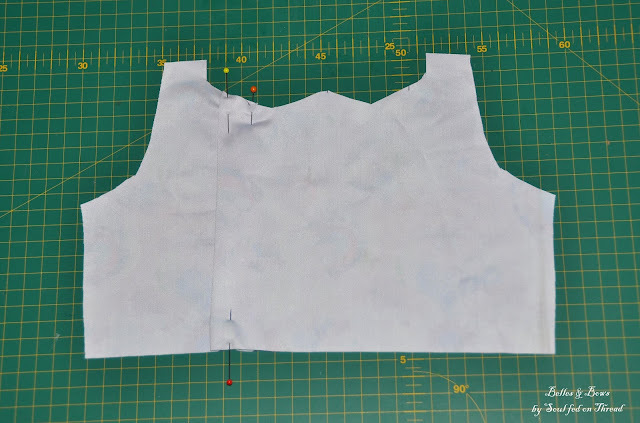 Today we are sewing the shoulder, neck and side seams of the racer back top (for the other versions, scroll down.) Sew your main and lining pieces right side together. I personally like to sew my seams using a lightening bolt stitch with my regular sewing machine first, then overlock (or serge, as our overseas friends would say.) 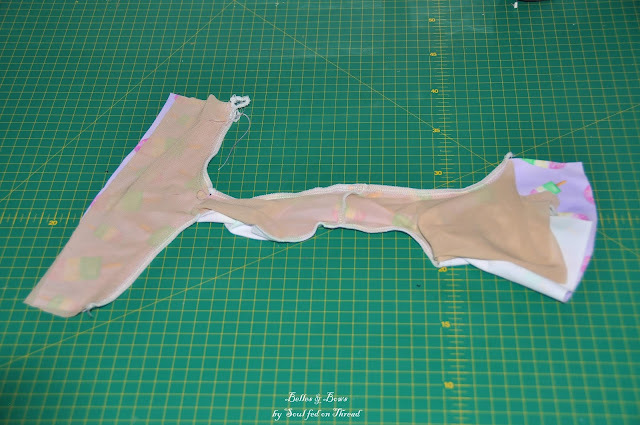 There is no real need to overlock as knit fabric doesn't fray. 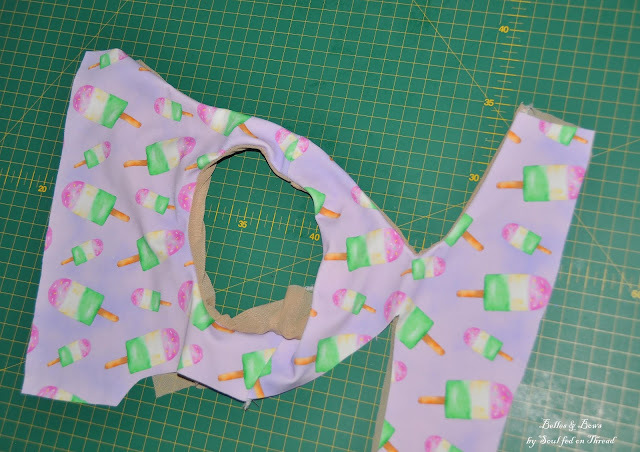 Put your lining and main pieces right sides together and sew the neck opening. 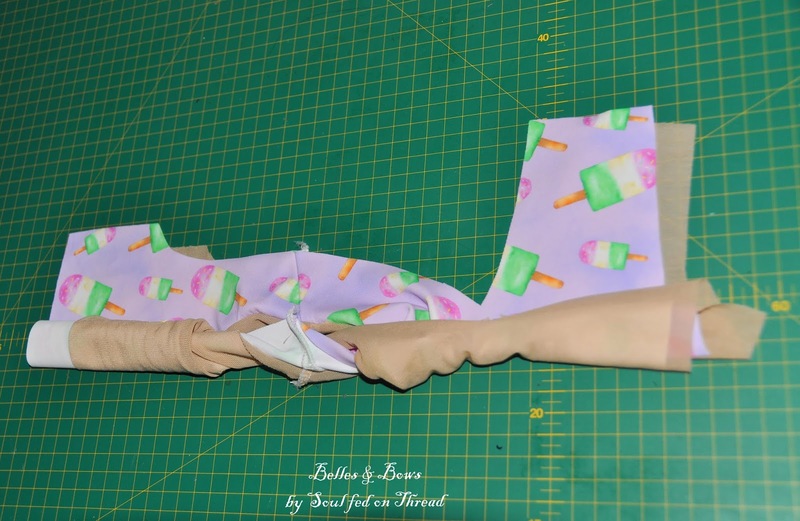 Be careful not to stretch your fabric while sewing. Pull your top right sides out and press gently if desired. You will need to roll up one side of your top towards the other. 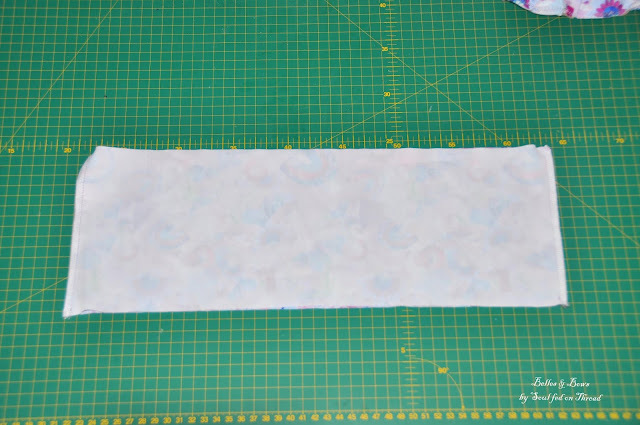 When you get as close to the other edge as possible without going past it, pull the lining from underneath the main, over the roll up part to meet the edge of the main fabric. The right sides of the fabric will meet, wrong sides are exposed. 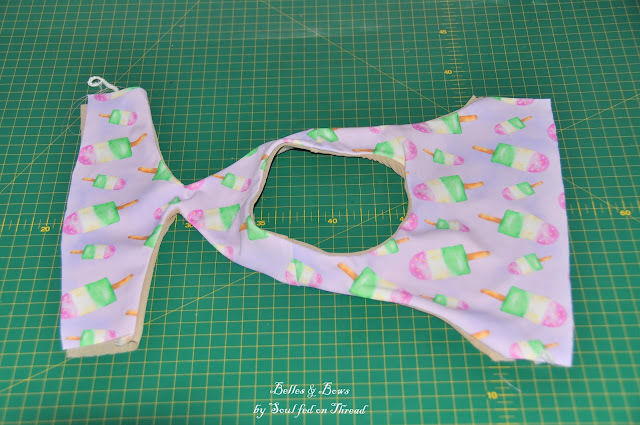 Pin well and sew. Pull out the garment to show the right sides again and repeat the step for the other side. It will look odd!! 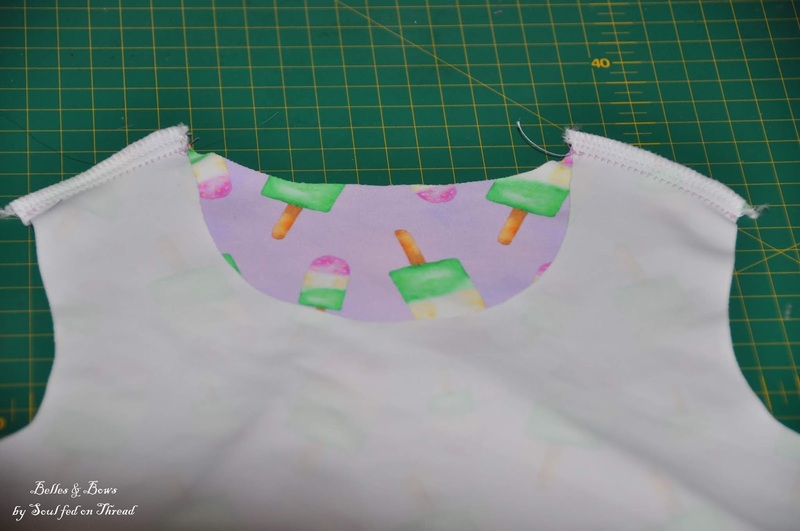 Side seams: With right sides facing, sew your side seams. 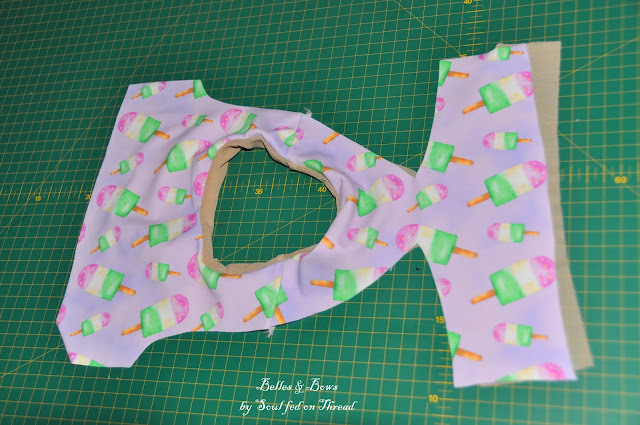 Refer to the pattern tutorial for more guidance. Baste bottom raw edges of the main and lining together - a zig zag would be fine for this step. Put top aside, you are DONE for day 2! Well done! Make sure you have marked all your pattern pieces carefully. Pleat your top carefully, from the back view, the pleat will face towards the underarm/strap area. 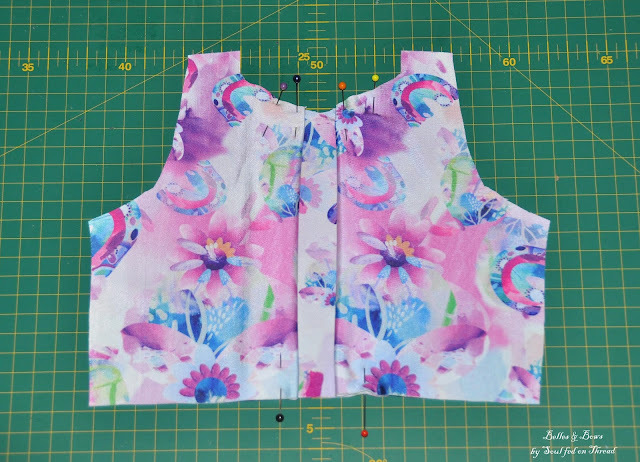 Once you have pinned both sides, your front bodice should look similar to these photos. Your lining will NOT have pleats. 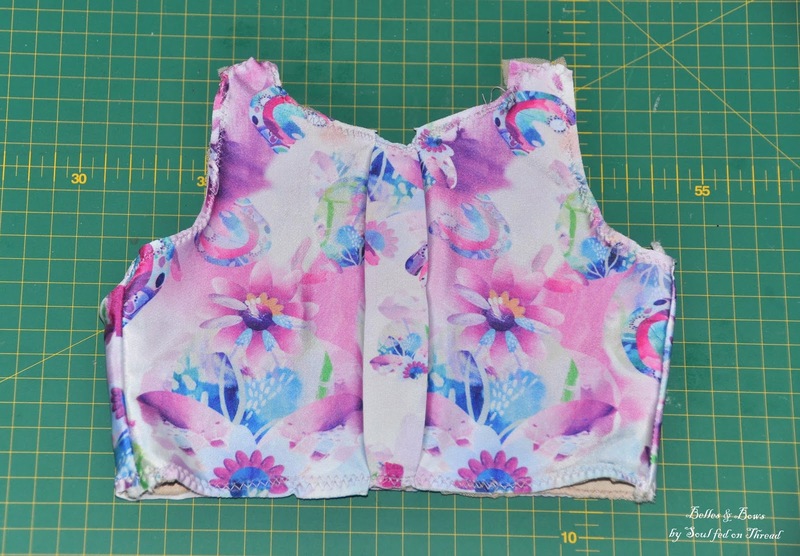 Sew your bodice fronts, right sides facing at the side seams. 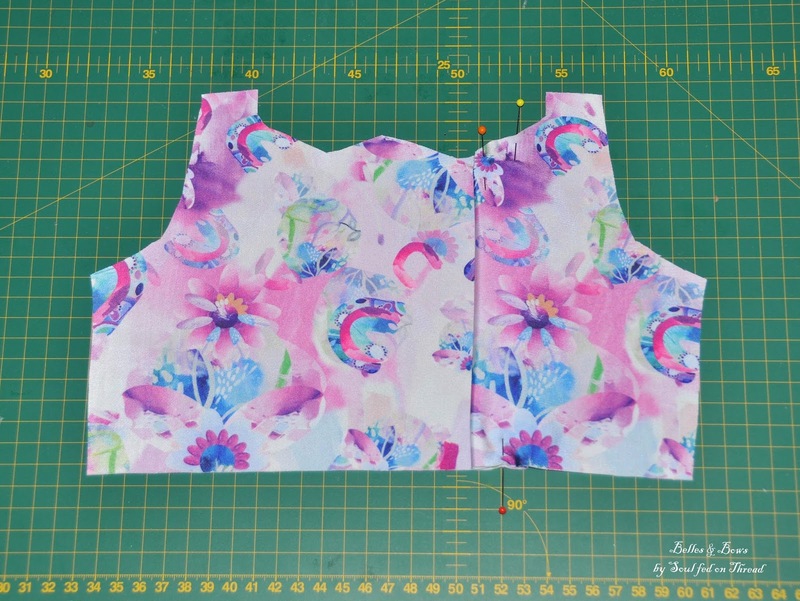 The back bodice piece will be WIDER at the TOP. Repeat for your lining. Wrong sides together, baste your main and lining bodices together. 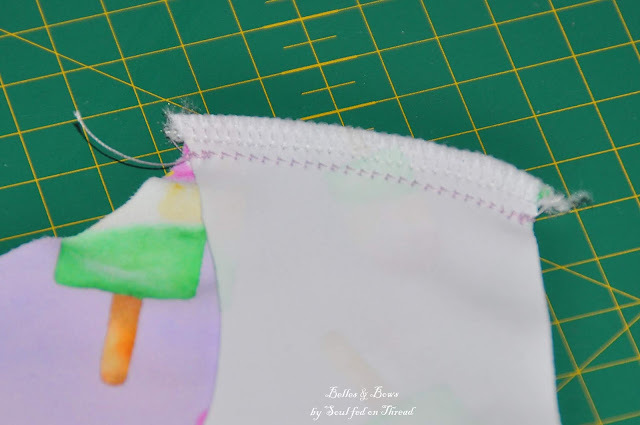 Sew your skirt pieces, right side together, at the side seams. Congratulations! 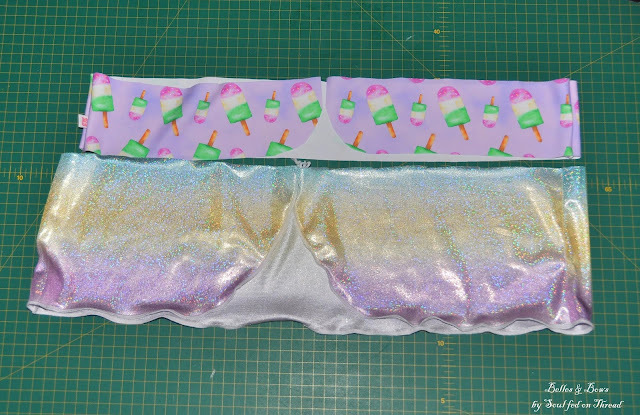 You're done for day 2 if you're sewing the pleated version! Measure your main bodice piece central height. 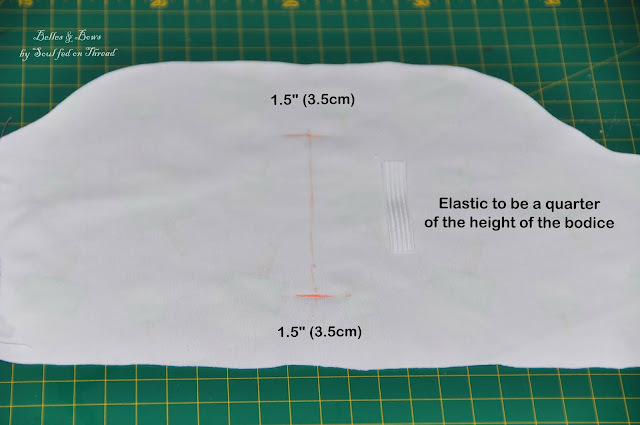 Divide this measurement by 4, cut a piece of 6mm elastic at this length. Measure down/up 3.5cm from the top and bottom of your bodice. At these points pin your piece of elastic. 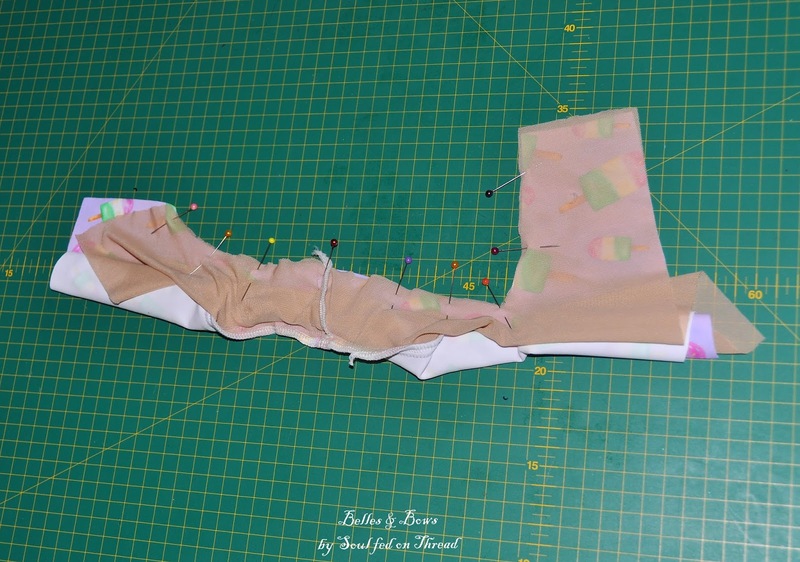 Stretch your piece of elastic right out, pin excessively if needed. 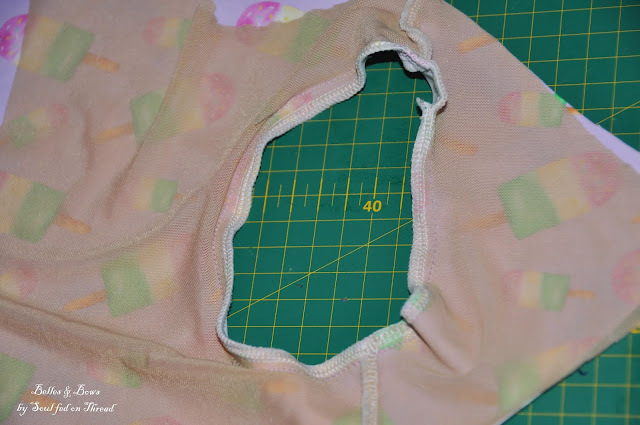 Sew on your elastic using a zig zag stitch. Repeat for the lining. 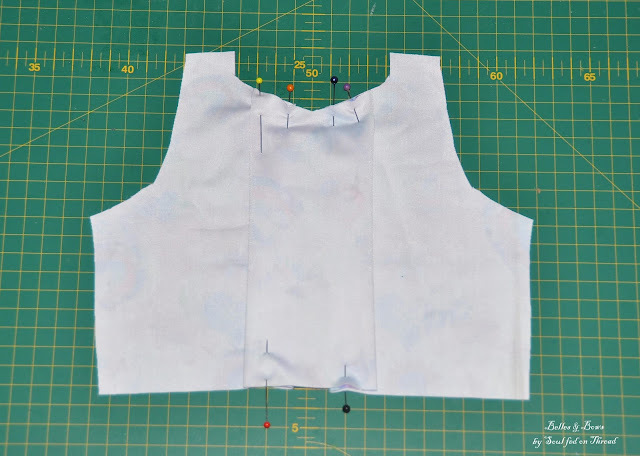 Your front main and lining pieces should look similar to this. 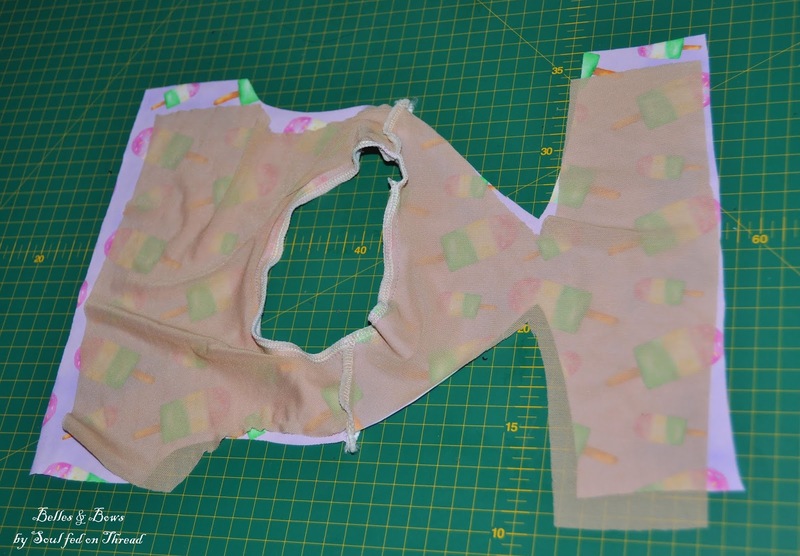 Right sides together, sew your main and lining bodice at the side seams. This step is exactly the same as the standard pleated version, scroll up to check instructions for further guidance. Baste main and lining together, wrong sides facing. 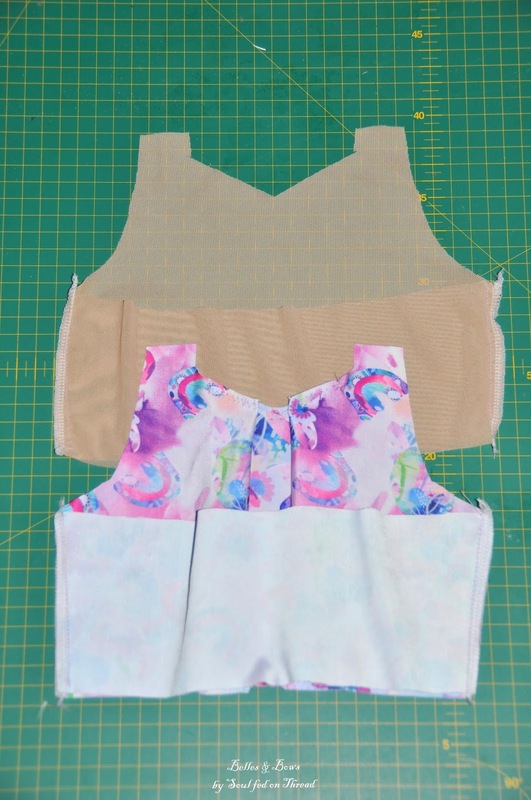 Sew front skirt ruffle pieces to back pieces at the short edge, right sides together. When placed right sides out, they should look similar to my pieces above. Stay tuned for Day 3, Tuesday 22nd January 2019.